Have You Ever Thought You'd Like To Be In The Seminar Business So You Could Fill A Room With Raving Fans And Make A Lot Of Money Quickly? 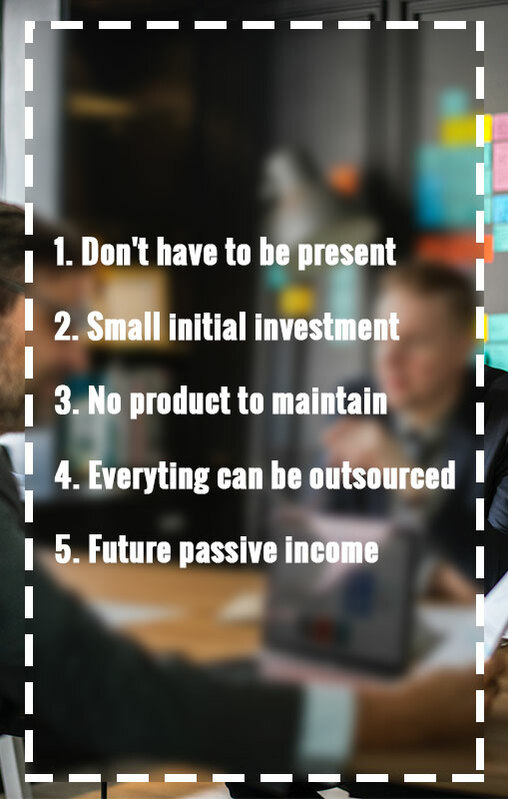 Can you see yourself in a part-time business where you can literally create six-figure paycheck on demand while simultaneously setting up back-end, passive income streams that produce money without your participation? Or do you have aspirations to be a speaker, where you can take the stage and sell products, selling as much as $250,000 an event? Or maybe you’re already a speaker and would like to work less and make more, a lot more. Either way, I can help. I can help you have a business where you help change peoples lives and get an endless stream of testimonials, thank you letters, gifts, and even hugs wherever you go. That’s right, it’s a combo course. Learn how to promote amazing seminars and boot camps, and, if you’re interested, learn how to be a platform speaker. Do both and you’ll really be raking in the dough! 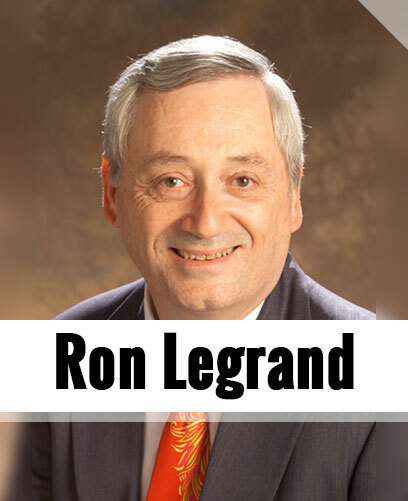 My name is Ron LeGrand and I’ve filled and conducted seminars and boot camps for 20 years now. We do almost 20 boot camps per year ranging in price from $1,500 – $6,000. They last three to five days in length and have an average attendance of 150 people. Add to that over 20 one-day workshops a year, some with over 200 people, and I guess it’s fair to say I understand this business. In my Speaker & Promoter Home Study System, I’ll show you how to work from both ends of the business and you’ll be able to use what suits you best. We no longer offer the live events for these trainings, but we’ve put them on CDs and DVDs so you get all the same information, plus the manuals and workbooks, to use right from your own home. With all this information, you’ll have the knowledge to create a business from either side of the stage – on it or behind it. For starters, let me tell you about the Promoting side. In 1999 Vicki got tired of working for the corporate machine we built from a $10 seminar and decided to start her own business. She had no products. She isn’t a speaker or an expert on anything. She decided to sell information products because that’s what she and I had done most of her adult life. 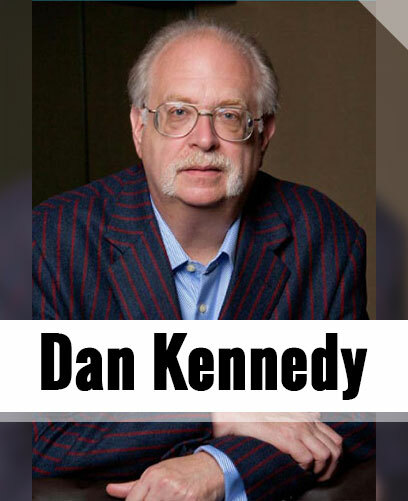 Then I teamed up with my marketing mentor Dan Kennedy and we put together a format and built the three-day seminar from scratch in about 3 days. To this point, Vicki didn’t have a dime in this venture because she talked us into waiting until after the event to get paid. In Dan’s case, his payment was a percentage of his sales he made at the event. Needless to say she was walking on air for days after the event! Then she got the brilliant idea to do it again and again and again. Then she added an Internet Marketing Boot Camp and got experts to teach the whole thing. Today she does several boot camps a year and I have to make an appointment to see her. That’s OK as long as she takes care of me when I get old. Second, most of the upfront money spent came from tuition sales as they occurred. I didn’t need much capital. The event funded itself. We started with very little out of pocket and all other expenses were paid as funds were collected. My initial investment came back quickly. Third, others owned the only products sold. They paid me 50% of their sales. I didn’t create or deliver any products to anyone. They did. I created the outline for the event and asked the speakers to follow it. Fourth, the whole event was handled by Vicki and her friend Danielle. They did the marketing and handled all the details. I created the outline for the event and asked my faculty to follow it. I did write the sales letter, but I could have easily gotten someone else to do it for me. The third highest paid profession not only provides you with time freedom, it also provides you with the ability to make as much money as you want, whenever you want. The lifestyle is amazing! It’s fun, profitable, and most of all, easy to master! And the good news is there’s a proven system that will allow you to tap into this amazing cash-flow business even if you’ve never done it before in your life! This amazing industry is professional speaking. And whether those words frighten you or excite you, the few minutes it takes for you to read these next few pages will possibly be the most important you’ve spent in many years! However, I didn’t kill myself on the road either, spending all my time away from home. Today I spend about 20-25 days doing selling seminars and another 60-80 days teaching. I don’t have to teach. I’m making millionaires all over America in the field of real estate investing and information marketing. I can tell you with absolute certainty none of them would have climbed the mountain to financial freedom with only the information I could offer in a speech. Without the books, tapes, back end seminars and constant bombardment with quality materials a lot of people would still be struggling to get by. I’d be one of them. I’m a sponge for knowledge. There’s no way I would have absorbed so much if I couldn’t do it by listening to tapes and I bought most of them after hearing a speech. So here’s an opportunity for you to learn to sell in a manner that’s never been taught by anyone before now as far as I know. And you’ll discover the secret from the comfort of your favorite chair. That’s right, no travel, no hotels, no airports…all the secrets three of the nation’s leading speakers and I have uncovered in the last 14 years. We held a very exclusive boot camp. This was a one-time-only event. It will never be held live again. It was completely sold out, and each person paid $10,000 to be in the room. And every single one of them left feeling they’d UNDERPAID for the information. The secrets uncovered were just that powerful. I don’t care how much you make now; I can assure you it’s not even close to your potential. Whether you’re the nation’s top speaker or someone just starting out, what you don’t know is costing you a fortune. If you want to know the truth, the strategies and secrets I discovered during this event blew me away and have already had a HUGE impact on my bottom line…and I’ve been doing this for 20 years. Just imagine what it’ll do for you! Regardless of what industry you wish to cater to, this system will prove the validity of creating and conducting seminars and boot camps for it. If you don’t do it, your competition will. If you already have competition, we’ll show you how to get the lion’s share of the business and create an unfair advantage for yourself. Dan knows more about selling products on and off the stage than anyone alive. The information I’ve gleaned from him over the past 10 years has been worth millions to my companies and me. If you’re lucky enough to listen to him divulge information while his mind is focused on making you an ace platform speaker, consider yourself blessed. Dan never pulls punches; he says what works…and only what works. No empty theory…just results. We were lucky to have Dan for 3 full days, along with the rest of the faculty to pick his brain and get a million bucks worth of time tested and proven advice. 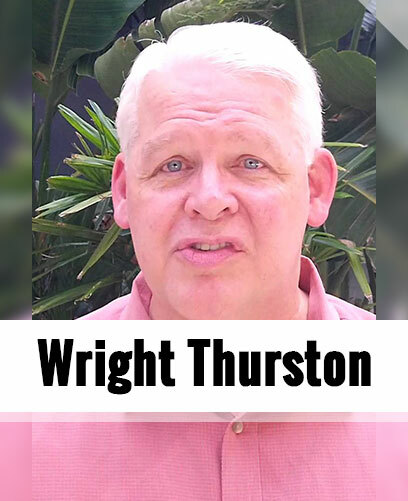 Wright Thurston – fills and conducts over 50 seminars each year in four countries. He’s developed an amazingly low cost way to fill seats and he’s one of the best I know at conducting a seminar. The truth is his participation in the seminar is minimal because he brings in top-notch speakers who all sell products and split with him. They do the work and he gets most of the money. He’s agreed to share with you secrets he’s never disclosed to anyone before, not even me, even though he knows it could create competition for him and dip into his personal revenue. He’s doing this because I asked him to, (no I begged him) and because his sharing heart overrides his fear of disclosing corporate secrets. Wright knows there is enough money to go around for everyone promoting seminars, especially when you consider the various topics and industries there are to serve. If you’ve ever met Wright you know why we refer to him in the industry as Mr. Nice Guy. What we’ll pry from him in this three-day event can’t be found anywhere else on earth and I feel honored and privileged he agreed to share it at my event. It’ll be worth millions to those who are prepared to receive it. 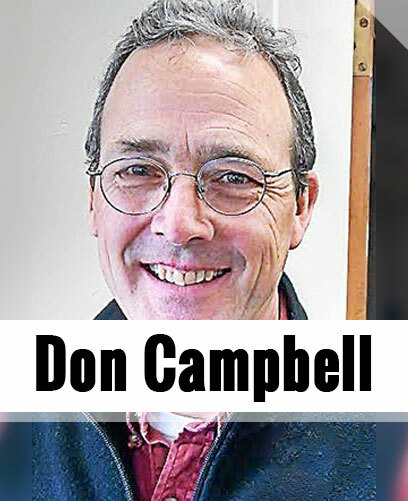 Don Campbell – is a Canadian marketing machine that fills about three-dozen seminars a year to supply the members for his association. Not only does he make a killing at his seminars but also he’s created a continuous stream of income from over 550 members paying him $200 per month to be part of his group. Grab your calculator, do the math. I’ve spoken in coliseums beside past Presidents, actors, foreign leaders, politicians, and famous people of all kinds, including Donald Trump, Robert Kiyosaki, Tony Robbins, Suze Orman and many more. I’ve sold over $20,000,000 in products from the platform and most of those rooms were filled with people I was responsible for getting there, hundreds of thousands of them…with very little out of pocket costs. I guess it’s fair to say if I were the only faculty member included on this system, your cost of time and money to attend would be insignificant to the enormous wealth of hard won secrets I’ll be disclosing. I’ll hold nothing back and share information with you that will draw criticism from my attorneys and accountants as to why I would be foolish enough to disclose them. You’ve got to admit, that’s a world-class faculty. Anyone of these people has acquired enough million-dollar secrets about the seminar business to make this a no brainer decision. What would it be worth to you to spend three days with multimillionaire faculty who all made a fortune from promoting seminars or from the words leaving their lips and who are willing to tell you everything they’ve learned? Would you pay $50,000 to learn how to make that much or more with one hour of work? If I did charge you $50,000 it’d be the deal of a lifetime considering you could easily get it back with one event or speech, not even counting the back end secrets we disclosed. In fact, I seriously considered charging a lot more than I am, but then I realized that would put it out of reach of the people who need it the most. So I set the cost of the live event at $10,000 and it sold out in less than two weeks! But you won’t pay $10,000 because you can’t attend the live event. There will never be another one. But you’re getting the video the entire event and I’ve had them professionally edited and packaged with the exact same manual we used in class. Then I asked the faculty and a few guests what they think I should charge for this one of a kind system. The lowest suggestion was $4,000 and the highest $10,000. That left me with a big decision. Do I charge what the system is worth and make folks pay the $10,000, or do I lower the price and make it more affordable so more speakers & promoters can benefit from this incredible information? Believe me it wasn’t an easy decision but I chose a price of $2,997. Order NOW and receive a $500 discount, for a total price of $2,497! 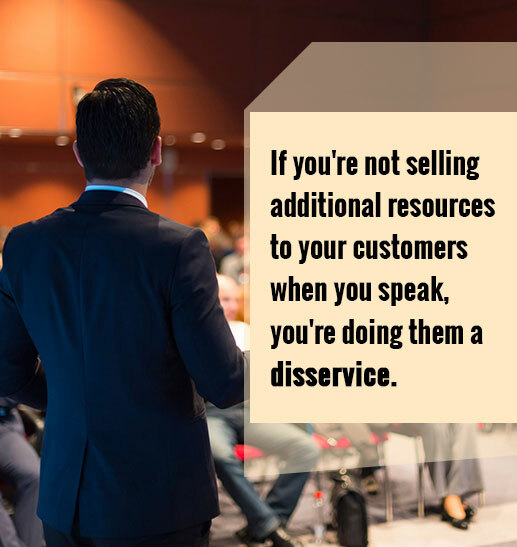 You should get that $2,497 back in increased revenue from your first event or speech after you’ve experienced the program. In fact, if you’re currently speaking or intend to, this should be a no brainer for you. I know three grand may be a bite, but I can absolutely guarantee you it’ll cost you many times that not to order. If you don’t agree this is the best training ever created for Speakers and Promoters, send it back within 30 days and get every dime back, no questions asked. Three grand is nothing compared to the immeasurable gain and lifetime value this system will have on your life. If the cost is the only reason you’d consider not experiencing this program, isn’t that a great reason that you should? If it matters that much to you perhaps you could use a lot more revenue in your life. After all, that’s the purpose of this system.